August 29, 2015 By SWAmazing Admin - Kung gusto mong kumita ng pera online na pambili ng mga latest GADGETS, pang Gimik TRAVEL, o pang KOTSE, mag CLICK ka dito! A series of informative lessons, daily videos, and powerful activities aimed at improving your mindset so that you can effectively tap into the powers of your subconscious mind... your UltiMind. What you'll learn here can enhance every aspect of your life, from your relationships, finances, health, career, and others. NOTE: Team Manny Viloria has not yet released any Product Review. 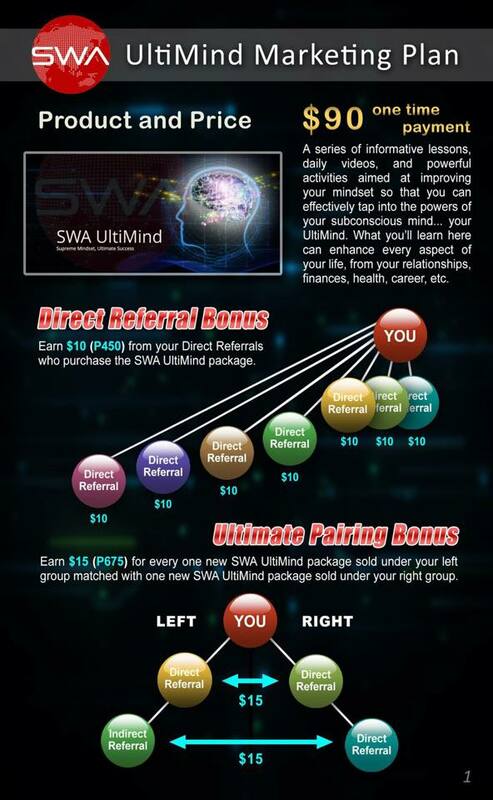 Direct Referral Bonus - Earn $10 (P450) from your Direct Referrals who purchase the SWA UltiMind Package. Ultimate Pairing Bonus - Earn $15 (P675) for every one new SWA Ultimind package sold under your left group matched with one new SWA Ultimind package sold under your right group. 1. 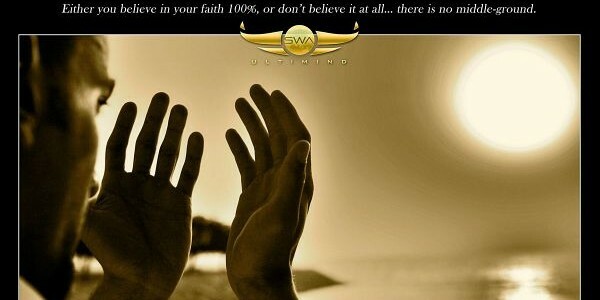 How do we place SWA UltiMind direct referrals in our left or right group? Is this automated or can we choose? 2. How can we receive payment for the commissions earned?